ommercial roofs can experience a variety of roofing issues throughout their service life. 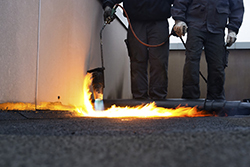 These problems can become quite expensive depending on the severity, and how much of the commercial roof is affected. Fortunately, the majority of these complications are preventable, or at least easy to catch before they become a larger problem, costing much more time and money to repair. Below is a list of the most common problems you are likely to encounter with your roof. Stagnant water on the roof could be due to a faulty design, or because the drains aren’t functioning properly. If your roof is not draining correctly due to clogs in the drains, you may come across pooling or standing water. You can identify this both by the active pools of water on the roof, as well as dry dirt piles indicating water that has evaporated and vegetation growth on the roof. Water collection can be quite heavy, affecting the structure of your roof, and can quicken deterioration and potentially lead to leaks. Installation Issues – If your roof is installed incorrectly, it can be prone to leaks. Shallow slopes on the roof provide the opportunity for wind to catch and lift the roofing material, exposing the non-waterproof structure underneath and granting access to rain water and other moisture. Improper Maintenance – If you aren’t checking on your roof and performing routine maintenance, you run the risk of letting it deteriorate without you noticing. This can lead to holes and other areas of exposure that can allow water to come in through the roof. Age – As your roof ages, the materials begin to wear out and lose their waterproofing effectiveness. 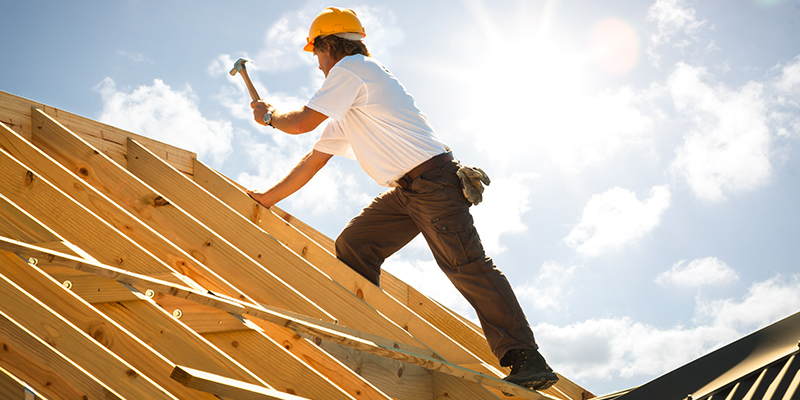 Make sure your roof is made of a durable material, and inspect it for signs of wear frequently. If your roofing material is not properly adhered to the structure, you may get what’s called a blow-off. Wind passing over the roof causes pressure above the roof to decrease, while internal air pressure increases as air escapes through cracks and openings. This causes an upward force known as wind uplift. When the wind uplift is stronger than the attachment of your roof, it can cause a blow-off. Flashing is installed around anything that sticks out from the roof, as well as on walls and curbs to deflect water. As the roof and the building naturally expands and contracts, this can cause the flashing to break. A break in the flashing allows water to enter the vulnerable areas of the roof, instead of directing it away. Adding any new equipment or structure to your roof causes new punctures and penetrations to the structure. 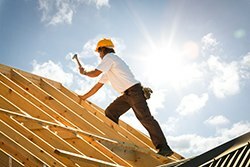 Unless done with all the proper precautions, each new addition can pose a weak point on the roof. Additionally, over time the weather and exposure to the elements may cause your roof to become eroded in areas. The best way to avoid these problems is to perform regular and routine maintenance. By actively checking your roof at least twice a year, you can be aware of any changes and catch any problems before they become large issues. At Can-Sky Roofing, competency and efficiency are at the core of our values. For emergency repairs to both residential and commercial roofing, contact us at 416-991-6783. For all other inquiries, including a free estimate for your roofing project, call 416-763-5131. For a complete overview of our services, visit us online.